In the beginning of January I had the opportunity to attend a very special conference for the second time: Code Freeze. 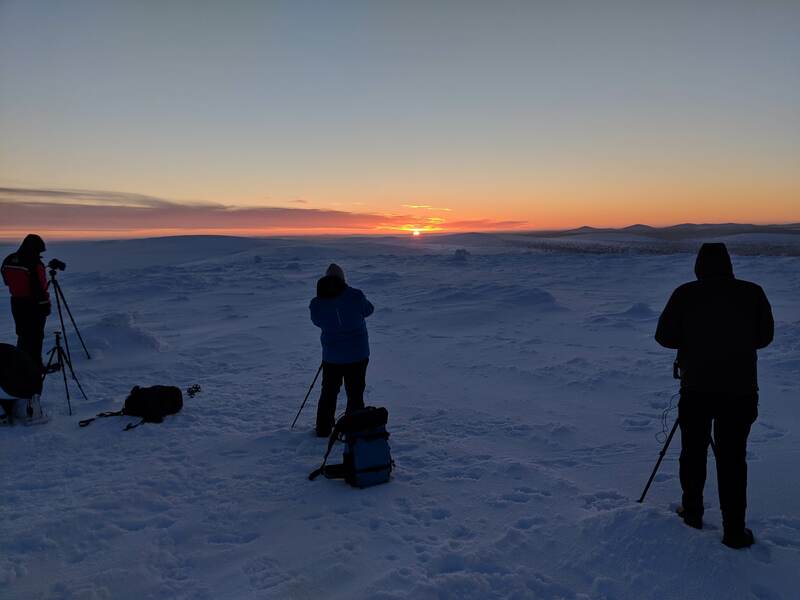 It’s special because of the setting: It takes place in northern Lapland, north of the polar circle — in winter (the first and only time I saw the sun was during sunrise on 7th of January. I had to climb Kiilopää mountain for that). It’s also a craft conference, one of the partner conferences of SoCraTes. And it’s one of the most inclusive events I’ve ever attended. 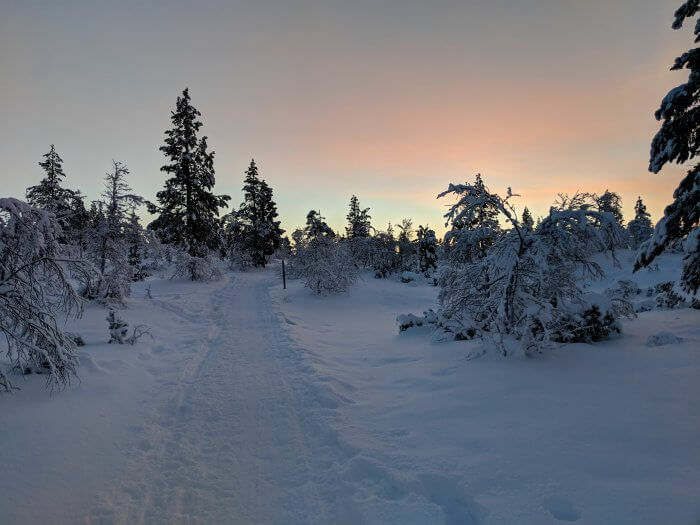 It takes a special kind of crazy to start off the year with a conference in the middle of nowhere, with temperatures going as low as 25 degrees Celsius below zero. Luckily, that was just the one night. It’s exactly this kind of crazy, though, that seems to foster the things that make Code Freeze great: the wonderfully inclusive atmosphere, great talks both technical and non-technical, and connections that outlast the brief camaraderie of other conferences. Yes and no. Code Freeze is an event which is regarded as a conference by some. It’s considered a holiday with tech talks by others. It’s an unconference in the purest sense of the word — there is little planning except for a Trello board, and this year there was one marketplace for the entire conference. There are the talks the participants bring, or want to do, and most of them do take the form of discussions, rather than traditional upfront talking-at-people talks; something that should be familiar to anyone who’s ever attended a SoCraTes. So it’s not a conference? That’s also not exactly true. The sessions that do happen are extremely valuable, and usually go deeper than the common “Overview over technology X” talks. They also, sometimes, don’t stop. It’s possible to join a lunch or dinner table discussion about Kent Beck’s TCR, or a late-night session about integration testing of AWS cloud services. Or, as some participants did, go from cabin to cabin late at night in order to bring the Freifunk Wifi to Code Freeze. Or have a discussion about child education, with input from a trainer for nonviolent communication. I’ve mentioned before that Code Freeze is a very inclusive conference. Since it is in a beautiful holiday location, a lot of people bring their spouses. They also contribute content which is interesting for people looking to broaden their horizons. For example, the talk about the Internet as a workplace for people with invisible disabilities. Some people even bring their whole families. It’s amazing to have a technical conference where the parts of life that are so often hidden in our professional lives are not only included, but celebrated. This wouldn’t be a post-conference writeup if I didn’t share some of my personal highlights, though in reality, there were too many to mention everything. Sessions inside the sauna. Sessions that were streamed to include people who couldn’t attend physically (in some cases because they were in the sauna). A three-people call-for-help session where I learned more about Spring Boot testing (thanks to Amélie andChristian) than I’d thought possible in such a short time. Natalie’s talk on the Internet as a workplace. Franzi’s “how do we make this more inclusive for parents with kids” session. The sponaneous “let’s create a code of conduct” session with a lot of input fromToni, which coincidentally resulted in a CoC that was very close to the one for SoCraTes Germany. If I had to pick the most amazing events, though, I’d pick the Achitectural Katas and the Ideal Company fishbowl. Nelis Boucke facilitated two workshops on Neal Ford’s Architectural Katas at this Code Freeze. 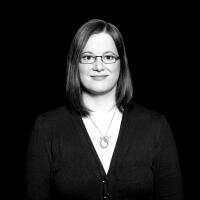 Architectural Katas are not aimed at building better architectures by repeating the same task over and over again — rather, the goal is to get better at talking about architecture, a skill every one of us will need at some point in their lives. We only had two hours, but focusing on learning the specific method we used (the C4 Model) in describing an architecture for a mock project, and reflecting afterwards about what we could’ve done better, was an incredibly rewarding (and humbling) experience. We got to see, in a controlled training environment, how we each approach the problem from different angles, where that leads to clashes, and how to work with that in a discussion. The other thing that resonated deeply was the fishbowl about what constitutes an ideal company. Sparked by Chris’ tweet here (https://twitter.com/c089/status/1074206407359168512), we went on a journey where we discovered mostly that we didn’t agree on much. Almost everyone agreed that there was a common baseline, both in the positive sense as well as in the negative (red flags) — but even that baseline, things every company should have or avoid, was fluid and depended on personal preferences (though a safe bet seems to be chairs that don’t lead to back pain). The general consensus seemed to be that ideally, before choosing to be employed somewhere, everyone audits the company according to their own preferences, needs and wants. Which is not that surprising, but has an interesting turnaround for companies trying to hire software developers: The more open and honest a company is about their ideals, working environment, and atmosphere, the more likely they are to attract the people who work there and want to stay. The real highlight, though, were the people I met, too many to name everyone. The organizers Aki Salmi and Markus Tacker deserve special thanks, as do all of the people who contributed content — both people whose sessions I could attend, and people for whose sessions I unfortunately did not have time. Many, many good talks, both in formal and informal sessions. And just the overall sense of well-being that comes from just being there as part of a community. Code Freeze was an unique experience, and one I already sorely miss. Thanks to everyone who made it possible.